The Elgin & Hall Impero 57" Pryzm electric fire delivers an industry first 5D flame effect picture that provides a unique realism that will amaze. A luxurious landscape white micro marble anchors this floor standing electric suite, the white marble is hand finished to give a flawless smooth surface. 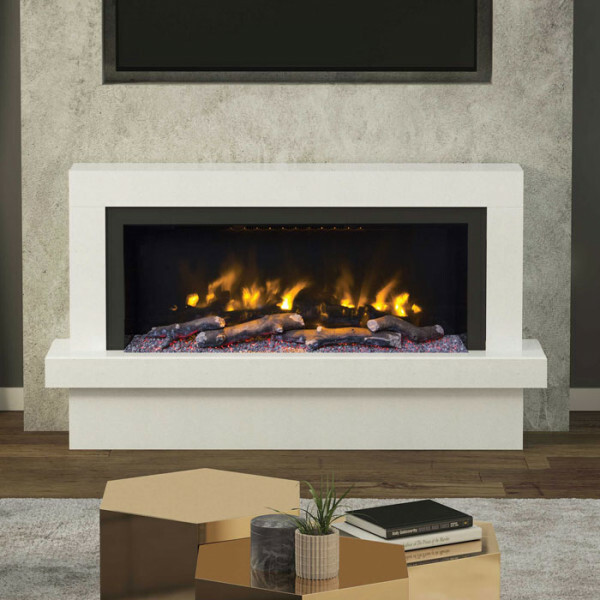 The top width of 52" add a different level the base width of 57" emphasising the fireplace proportions for striking presence that cannot be ignored. 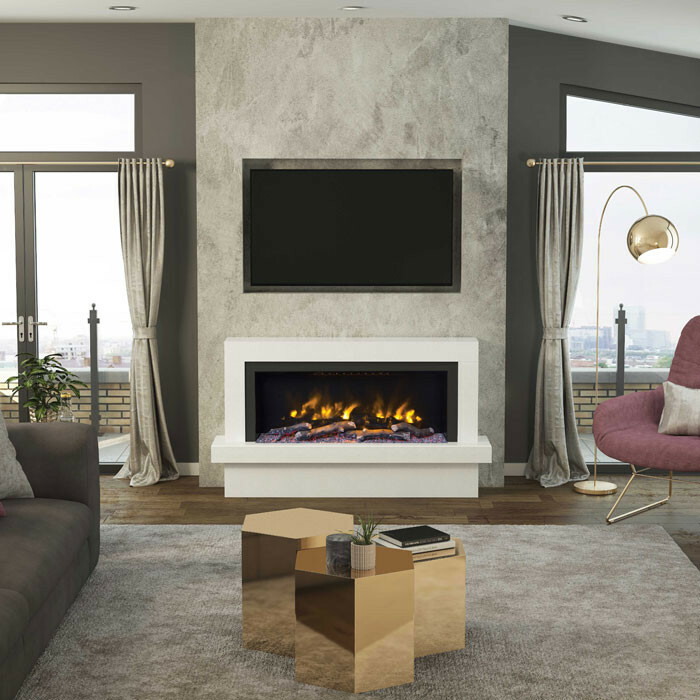 Buying an Eco Design Compliant Pryzm electric fire provides you with a 2kW heat output to help supplement your heating system, the flame effect only setting on the 5D fire allows you to experience the delightful visuals and reduce your energy consumption. 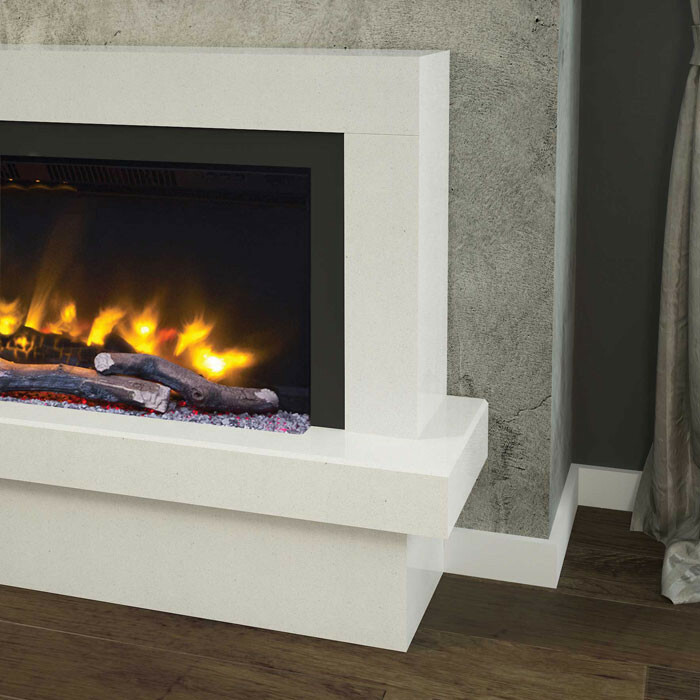 The panoramic glass fronted screen provides optimum flame performance, there are 13 fuel bed and 3 flame effect colours with a post flame smouldering smoke effect.